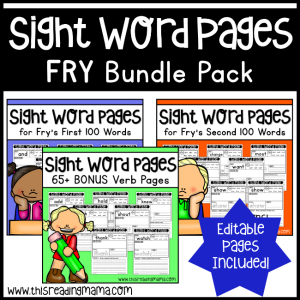 These Fry Sight Word Pages help learners practice sight words in multiple ways including reading, finding, building, tracing, spelling, and writing it in a sentence! 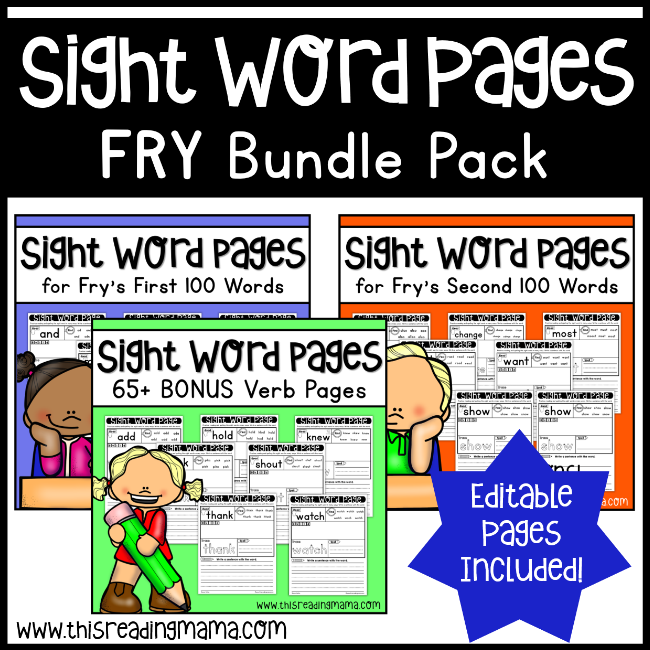 These Fry sight word practice pages are an interactive way for learners to build fluency with sight words. Sight words, a “looser term” for high frequency words, are words that appear with enough frequency that we want our learners to know them by sight. Even though many of these words can be sounded out, we want our learners to recognize them as automatically as possible. This can free up the brain to focus more on fluency and making meaning of the text they are reading (comprehension). 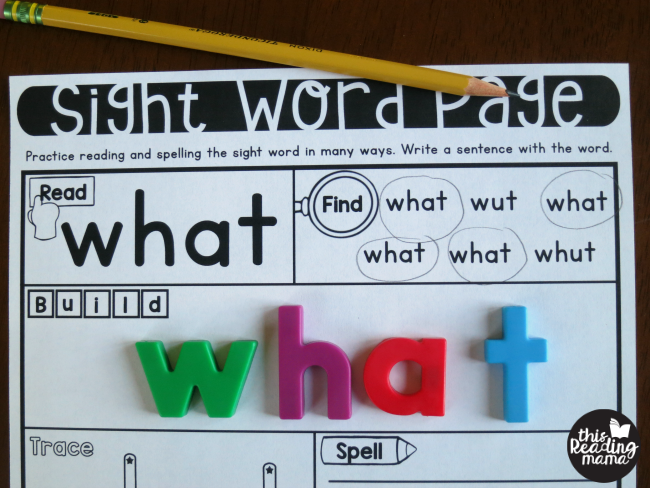 Use these pages with learners for extra sight word practice. Learners read the word, find the correct spellings of the word, use spelling manipulatives to build the word, trace the word, write the word, AND (this part excites me) use the word in the context of a sentence. Learners can write the sentence themselves, dictate it to you, copy it from a sentence you create together, write it with you (sharing the pencil) or any combination of these. You can really differentiate this step for your learners. 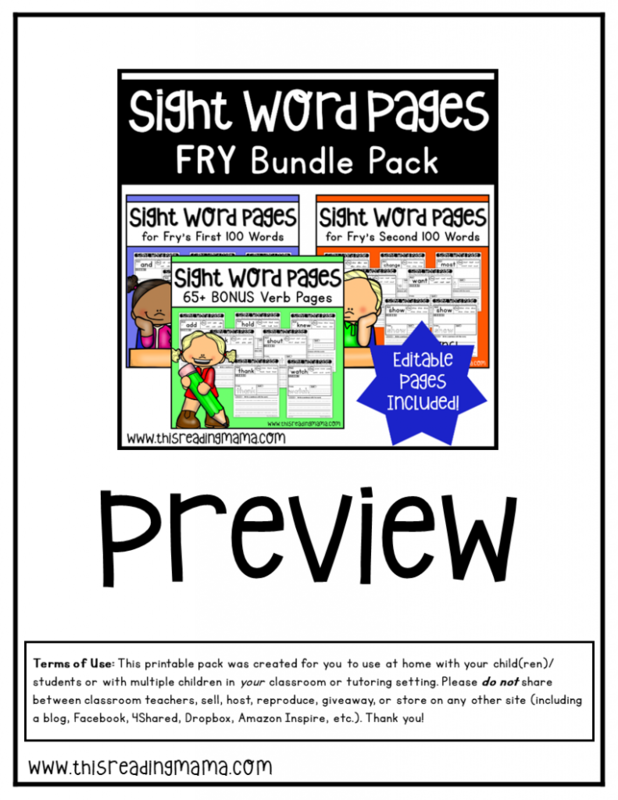 PLUS you’ll get 65+ common verb pages AND editable sight word pages! The 65+ common verbs in the pack are: add, ate, bake, began, begin, break, bring, buy, call, care, carry, check, clean, close, count, crawl, cry, cut, draw, drink, eat, fall, feel, fly, gave, goes, got, grow, hang, hear, hold, hurt, jump, keep, knew, laugh, leave, lost, meet, miss, open, own, pick, point, pull, push, ran, ride, run, saw, seem, shout, shut, sing, sit, sleep, speak, stand, start, stop, talk, thank, thought, took, wait, walk, wash, watch, and wish. All Fry sight word pages are included with the triple handwriting lines or single lines. Click HERE FOR THE PREVIEW. Find this pack on Teachers Pay Teachers or purchase below.